This weekend was purely for looking at the electrics of the boat. It is a bit in a mess to say the least, as the electric sink pump demonstrated to have a life of its own, switching on at arbitrary moments. 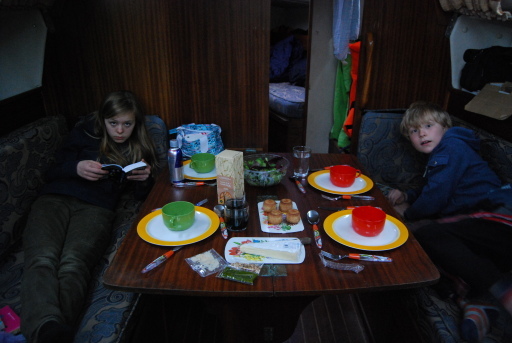 The family has settled in the evening, Timo was to bed when an almighty explosion was heard. 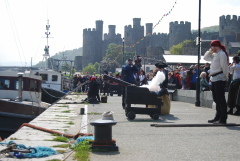 It appeared that our weekend co-incided with the Conwy pirate weekend. Varioius canons were fired in the pitch dark. Meryl and I jumped in the dinghy, rowing ashore while several shots were fired over our head. We must have scared them, as the minute we set a foot ashore, the pirates retreated for the night. Maybe I need to shave more often. 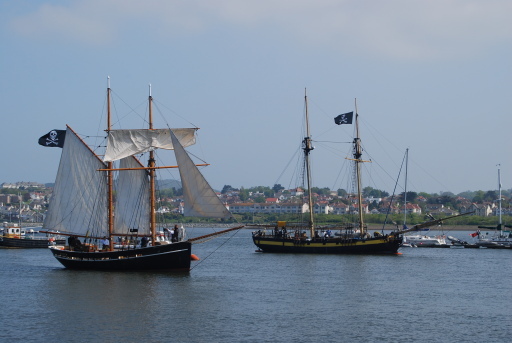 The next morning at around 11:00 a beautiful sailing traditional yacht approached the quays while firing her canon. 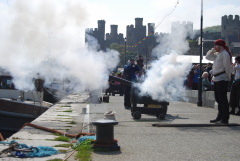 This was answered by the 2 shore battery canons. The noise when these went off was very impressive indeed. 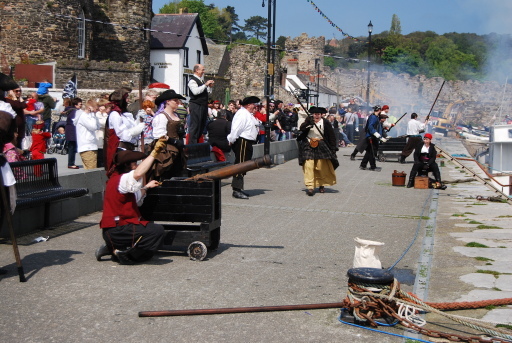 The show was arrange by a battle re-enactment team from Lancashire.